Virtual Umbrella are proud to have supported the release of ‘Windlands 2’ from Psytec Games, acting as on-site technicians and demo staff at their special game launch event at the Loading Bar in London. Billed as ‘Play Windlands 2 and #MeetTheDev’, the evening was a unique experiential opportunity for VR fans & professionals to try out the game and get chatting to some of the great creative minds behind the production of the title. 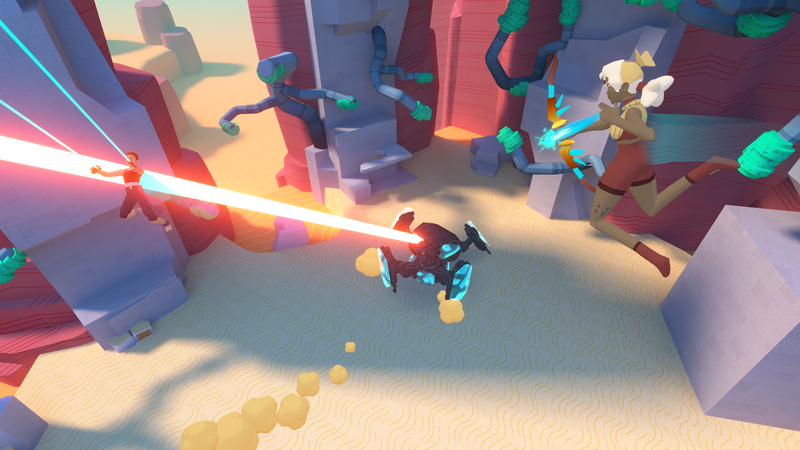 For those that had played the original ‘Windlands’, there were many familiar features, including the distinctive grappling hook locomotion and the ancient world of Windlands itself. But there were also a variety of new elements across both narrative and gameplay such as combat, NPCs, and multiplayer options. Across the night, it was Virtual Umbrella’s task to set up demo stations, troubleshoot technical issues, and walk visitors through the experience – from giving context around the game’s history and development, to ensuring that the piece looked its very best on well-maintained VR rigs with optimal settings & setup.